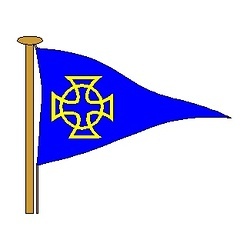 County Antrim Yacht Club (CAYC), initially known as Whitehead Sailing Club, was first formed on 25 October 1902 and the Centenary was celebrated with a formal dinner attended by many Members and guests on 25 October 2002. The current Clubhouse was built in 1909 and has undergone a number of changes over the years. The Club enjoys a prominent site at the south end of Whitehead promenade and is regarded as a facility which is an integral part of the local community. The Club Patron is HRH Duke of York. The Club is affiliated to the RYA, is a RYA Recognised Training Centre (RTC), Champion Club and holds the SportNI – ClubMark accreditation.